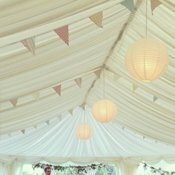 Needless to say, marquees come in a huge variety of styles and sizes that incorporate various choices of; furniture, decorations, carpeting and lighting options. 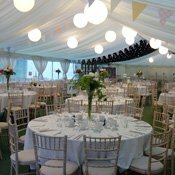 But, in our opinion, there is no marquee for hire that is more important and more exacting than a wedding marquee. 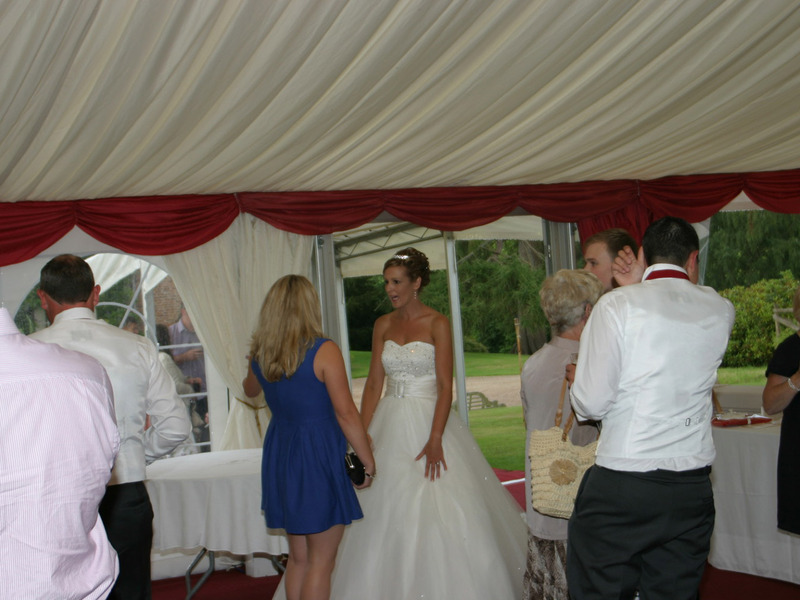 Here, it is critical that everything comes together, not only to create a well-organised event – but to realise a couple’s dream on the most important day of their lives! 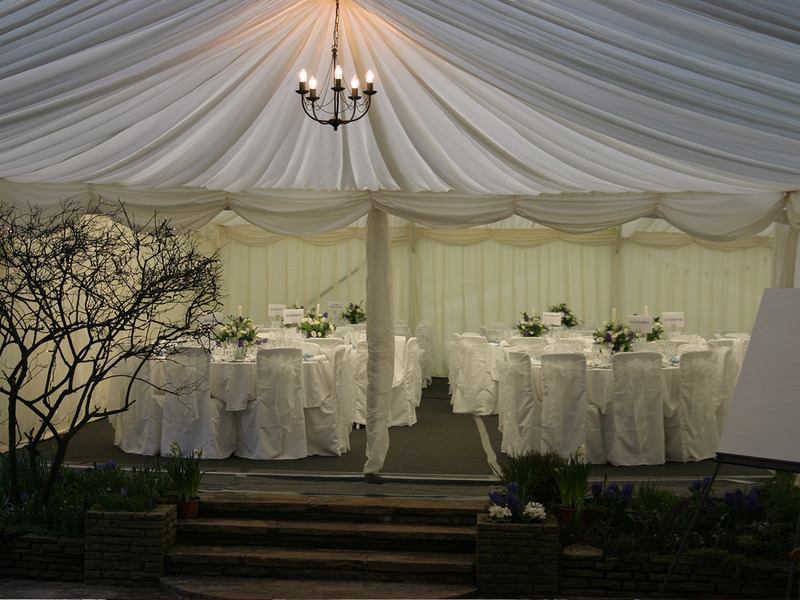 We believe that this is where the artistry of Marquee Leisure truly shines. 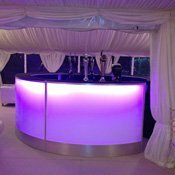 The basics, of course, need to be placed perfectly (dance floors, heating and lighting, comfort facilities and entertainment equipment). 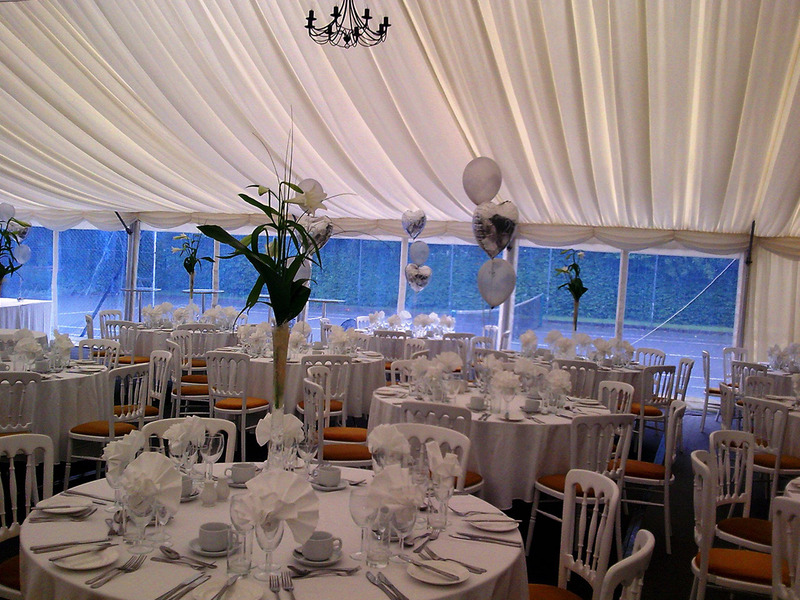 We have been in business for over 20 years, we can provide the highest quality marquee available at the most affordable prices. 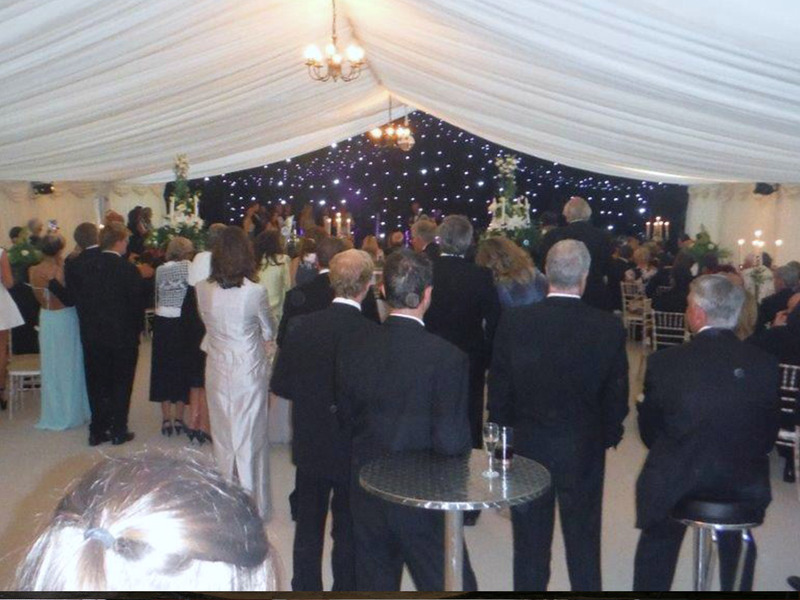 See our guide below to show give you an idea depending on the amount of people attending the event or call us now on 0121 323 2212 for more details. 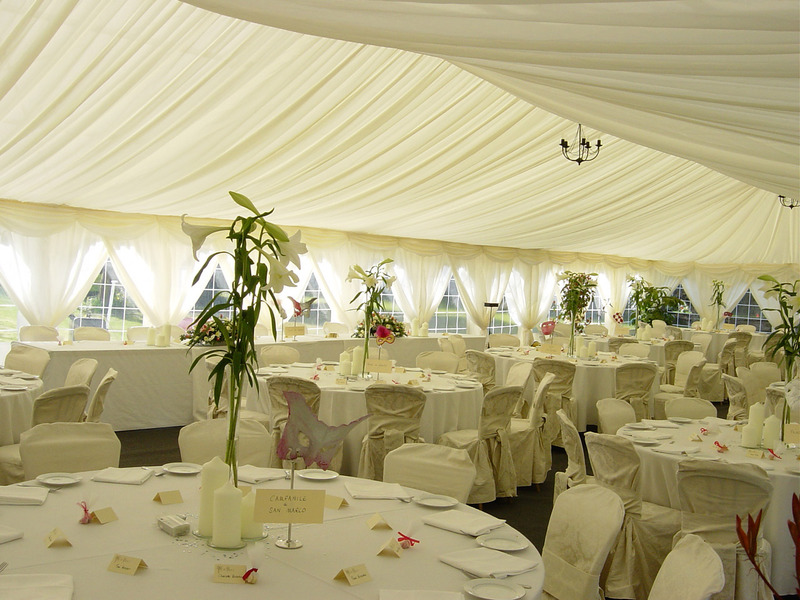 Allow us to enhance your wedding marquee with an elegant entrance that will focus the complete attention on the announced guests of honour. 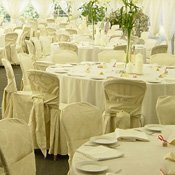 Color coordination and style is important to any big day we can supply tables and chairs with fine linen table cloths and ivory chair covers with a wide choice of coloured tie-backs. 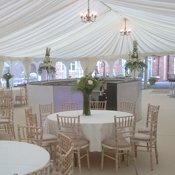 Marquee Leisure is partnered with many venues that include the New Hall Hotel – Sutton Coldfield as well as others that are equally gorgeous. 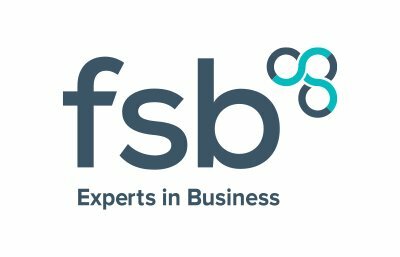 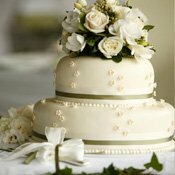 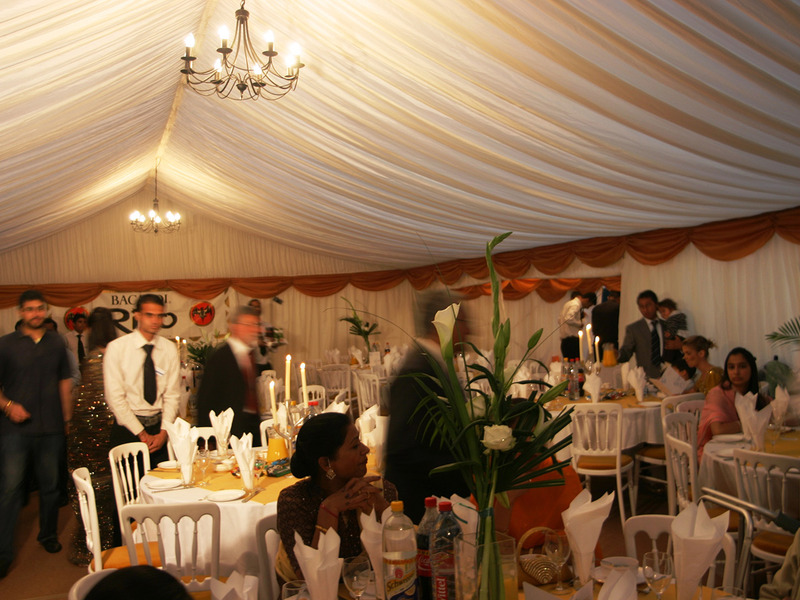 We also understand the value of keeping costs minimised, we offer any necessary contacts with caterers, florists, entertainers and other needed services with no commission. 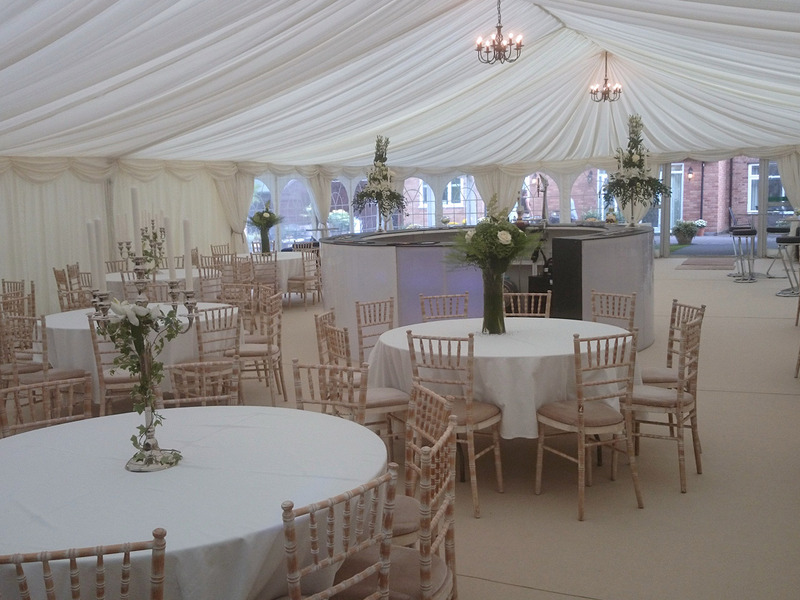 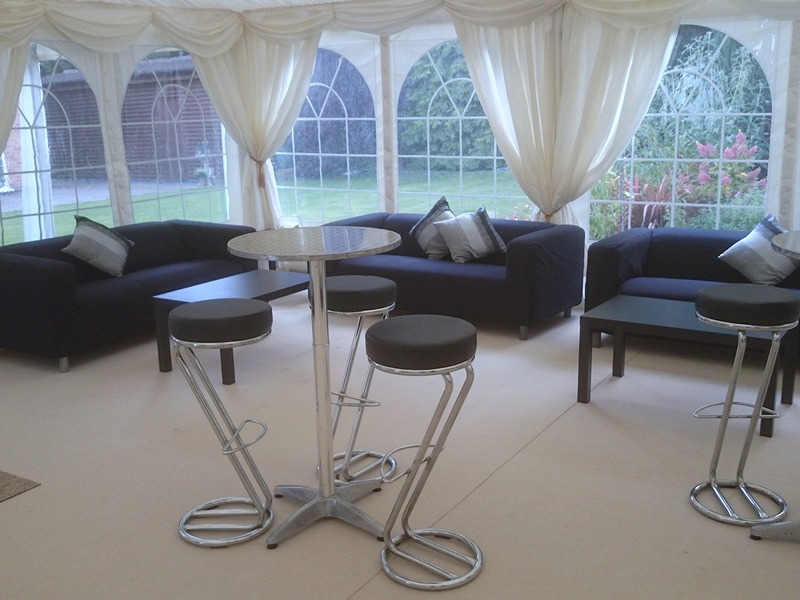 We have the expertise and experience to help you hire the right marquee. 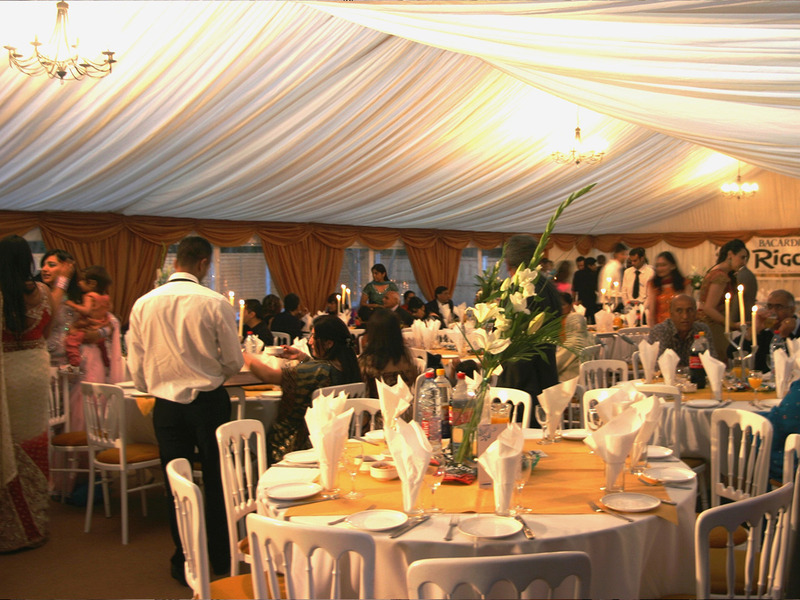 Our reputation rests with our ability to provide high-end, quality equipment and other amenities that can be accommodated by most budgets. 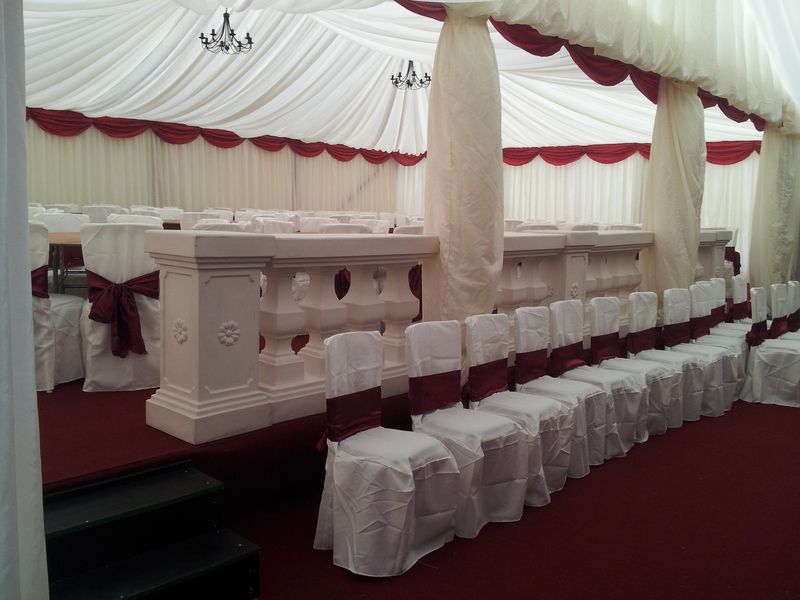 Please call us on 0121 308 4793 or fill out our contact form if you have any questions about making your booking.